Explicit How Do I Find Happiness? I JUST WANT TO FEEL GOOD!!! This week we talk about how to get happy! We read one of your emails and offer lots of advice on what to do and what to avoid on the pathway to happiness!!! 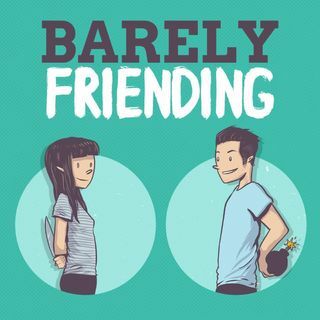 The Barely Friending Podcast is hosted by ... See More Eddie Della Siepe and MJ Riggins. Follow them on Twitter, Instagram, and Snapchat!